The annual roadshow that is Australia's travelling craft expo rolled into town last weekend. Part exhibition and part trade fair, it drew thousands of enthusiasts over four days. The expo's focus is clearly quilt making and other textile arts but there is enough of broader interest to make me feel it's worth checking out every couple of years. The purpose of this year's visit was to hunt down some fabrics that I could use as part of Curtains, my second BAO4 title. 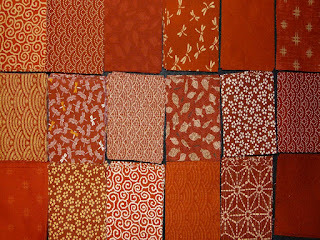 I came away with some delightful Japanese cottons from Wabi Sabi Designs and spent a satisfying afternoon trimming these to size with a new rotary cutter. 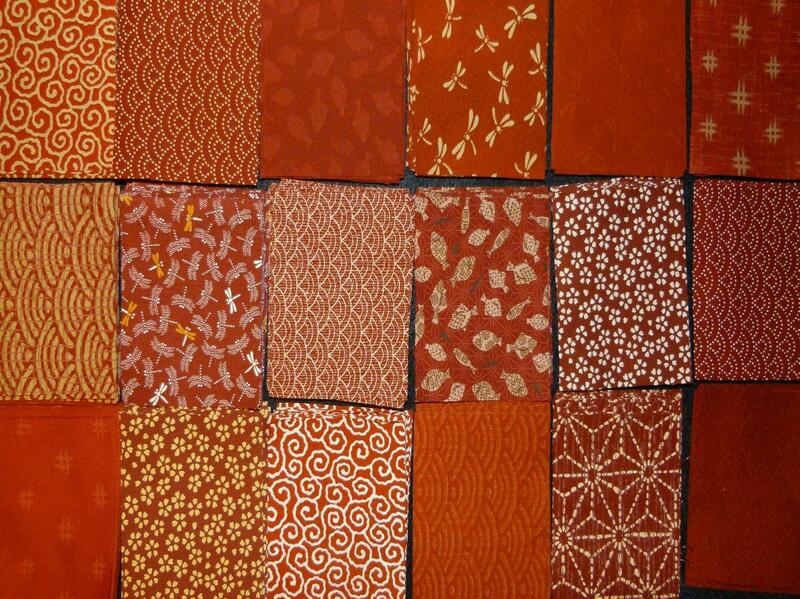 The cottons are tightly woven and easy to work without any need for backing. Am looking forward to building them into my edition of ten.